Wind energy has been used for many thousands of years for propulsion, for powering grain mills and for water irrigation. Wind energy is to all intents and purposes solar energy. Wind is driven by the effect of the sun’s energy both at a global level with differences in heating of the earth at the equator and towards the Poles, and at a local level by differences in the heating and cooling of land and sea, on the coast for example. (The Danish Wind Turbine Manufacturers web site www.windpower.org/en provides a very good description of this and many other topics associated with wind energy). Both global and local meteorological conditions generate sufficient winds to extract energy although they tend to operate on different time frames and in different ways. Coastal thermal winds, for example those in California, involve winds driven by the temperature differential between the Pacific ocean, successive heating of the desert during the day and cooling at night i.e. a pronounced diurnal effect. Storm front winds off the Atlantic such as those largely experienced by Ireland and the UK are driven by more global effects and although they may have a diurnal component this tends to be overshadowed by the significant variations over a period of three to four days as the front moves through. 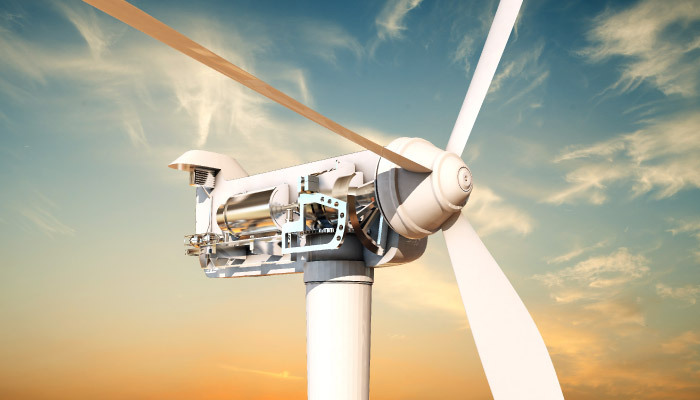 Wind energy and the design of a wind farm to extract that energy is therefore very dependent on the type of wind, the location of the site, and topography of the site itself. DP Energy has developed over 393MW of built wind energy projects, with a further 212MW at a late stage of development (i.e. permitted and approaching shovel ready). 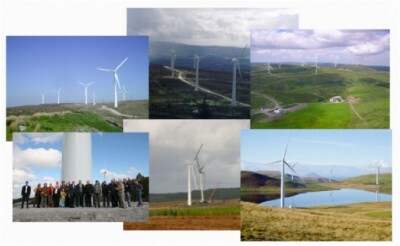 DP Energy has acted both as an early stage and late stage developer and built and operated a number of wind farms in Ireland. In other instances it is currently developing a number of additional projects across Australia, Canada, Ireland and the UK, see Project Page. 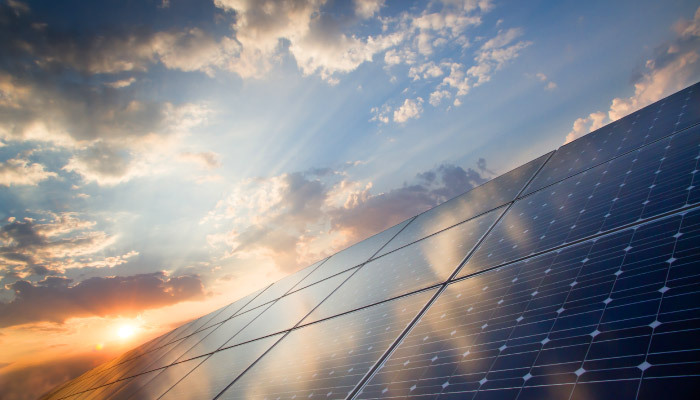 Solar energy is an all-encompassing term for energy obtained by harnessing photons of light emitted from the sun and converting their energy into other forms such as electricity and heat, either directly or indirectly. Solar energy is the most abundant form of energy available. The upper atmosphere of the Earth receives approximately 174 petawatts of solar radiation. Of this, about 36% is reflected back into space, 17% is absorbed by the atmosphere and 47% is absorbed by the land and oceans. To put this figure into perspective, each hour the earth absorbs more energy than the total amount of energy in all forms currently used worldwide in a year. The amount of energy absorbed in one year is approximately twice that of all of the earth’s non-renewable resources combined. This includes all oil, gas, coal and uranium reserves. With the exception of nuclear, tidal and geothermal energy, most forms of energy with which we are familiar are forms of solar energy which have been transformed by some mechanism or another. Fossil-based energy is simply solar energy which has been transformed to chemical energy by plants over vast periods of time. Biomass and biofuels are essentially the same thing on shorter timescales. Wind and wave energy are the result of differential solar heating between the equator and the poles and between the land and the sea. These temperature differences drive all of the atmospheric processes, which are responsible for all aspects of our weather and climate, including the wind, which in turn creates waves at the ocean surface. DP Energy is currently developing various solar energy projects including the Port Augusta Renewable Energy Park (PAREP) with around 163MW of solar PV energy. We have approximately 1GW of solar projects under development in Australia and Canada. Further details of both projects can be found on the Project Page. 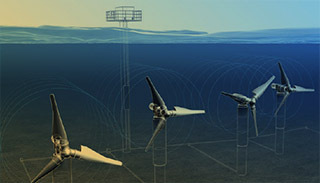 Tidal energy is predictable, sustainable and 100% reliable. The potential for energy extraction from the ebb and flow of the tide and its generation of local tidal streams is obvious. The degree to which this potential exists in any given location over the long term depends on the latitude, and the bathymetry, and over the short term by the relative position of the moon and the sun (i.e. lunar cycle, and time of year). The largest tides and movements of water occur at new moon and full moon (spring tides), which is when the sun and moon’s gravitational pull is aligned. The lowest, occur at the first and third quarters of the moon (neap tides), where the sun and moon’s gravitational pull are 90 degrees out of phase. The effect of this movement of water is seen as the rising and falling of water level or tide as the waters go through various phases of ebb and flood. In Irish and UK waters the flood tide flows from the west and splits at the west coast of Ireland to pass around the north and south coasts. It then continues to proceed along the west and north of Scotland, and South coast of England before notionally joining off the east coast. Some of this flood tide enters the Irish Sea via the North Channel between Antrim and the Mull of Kintyre and some via St Georges Channel in the South. The supply of electricity is required to match the instantaneous electric load every second of everyday. For example, when we switch on a light or our electric kettles, sufficient electricity to meet this demand must flow into our homes. If the electricity supply does not match the demand over a sustained period, the electricity system operator needs to take urgent action which could result in a blackout. To prevent this, if the supply of electricity exceeds the demand for it, then the surplus needs to be stored. Conversely, if there is a shortfall in the supply, then this needs to be made up from a storage facility. 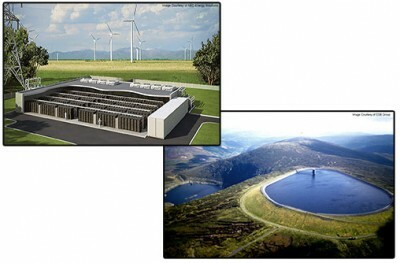 However, electricity in its raw form, unlike fossil fuels such as gas or coal, cannot be stored, and must be converted into another form of energy, such as chemical energy (batteries) or potential energy (pumped storage hydro-electric scheme). Historically, the varying electricity demand has been largely met by conventional fossil fuel power stations, such as coal and gas, where the fuel input may be controlled to deliver the required electricity output, and also through pumped storage hydro-electric schemes, which store water at a height during periods of low demand, and release the potential energy in the water through water turbines to produce electricity during periods of high demand. In order to reduce greenhouse gas emissions, it is essential that reliance on fossil fuels is reduced and the use of more sustainable alternatives is increased. Today, energy storage systems are often referred to as an enabling technology that allow for an increased penetration of intermittent renewable generation on national grids. Energy storage systems are very much part of everyday life albeit at different scales and in different forms. One of the very first examples of energy storage we experience is the mini wind-up car or clock, which stores energy as pure mechanical energy (tension in the spring). At a utility scale, mechanical energy is stored in the form of flywheels, hydro-electric pumped storage, and compressed air, while rechargeable batteries, supercapacitors and flow batteries all store energy in its electrochemical form. 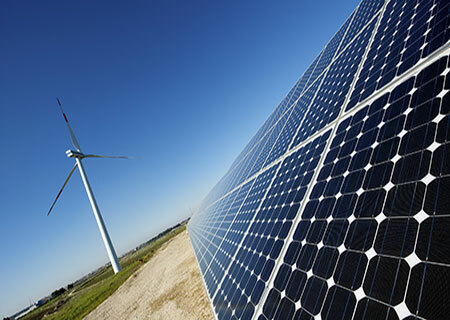 As a dedicated developer of renewable energy projects DP Energy understands the important role of energy storage in supporting the electricity grid and is therefore actively planning standalone energy storage projects, and to integrate energy storage solutions with renewable energy developments, both existing and proposed projects. Every renewable technology brings its own challenges when integration to the grid is considered. No single energy storage technology will be the solution, and therefore all technologies should be considered no matter how early or late in their development. In 2015 DP Energy invested in Solo Energy which provides distributed energy storage solutions for all stakeholders on the grid. Solo Energy is a new 100%-renewable energy supplier business launching in Ireland and the UK in 2017. Solo Energy deploys ‘behind-the-meter’ energy storage systems in homes and businesses to shift electricity supply to periods of peak renewable generation and low market price. 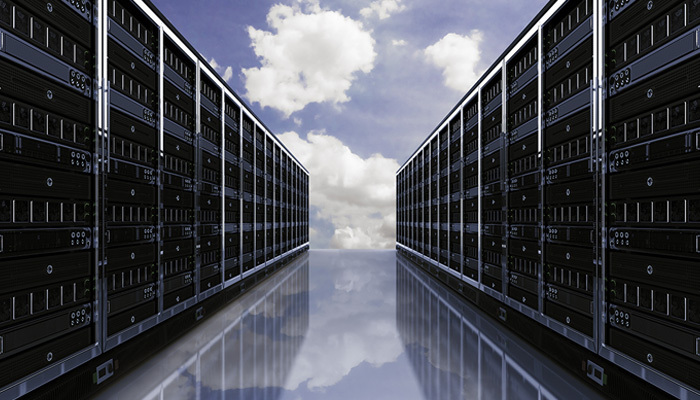 Each customer forms a new “node” on Solo’s aggregated energy storage network which is operated as a Virtual Power Plant (VPP) to provide balancing services to grid operators. Solo Energy empowers consumers by delivering smart, clean, flexible and affordable renewable energy via its Virtual Power Plant system whilst helping system operators maintain a reliable and resilient grid infrastructure.